Know your terminology: Indoor antennas were called rabbit ears. Outdoor antennas were roof antlers. Now it's basically the same, but with satellite dishes. Before Cable TV, there were community antennas and signal distribution systems. And before that, everyone in an apartment building who wanted a decent TV signal (better than they'd get from set-top rabbit ears) had to put their own antenna on the roof of the building. In a large building, that could really add up! Of course, some landlords or communities frowned on this, so we often had to settle for the rabbit ears. 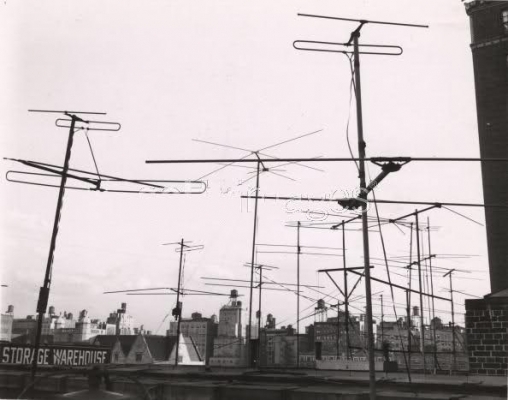 Some people had rotors on their antennas so they could point them in just the right direction to pick up each channel.